Using a dual monitor arm allows for a huge range of motion and flexibility for your office computer use. The 7 Flex Dual Monitor Arm lets you attach two computer screens from the one point on the desk. 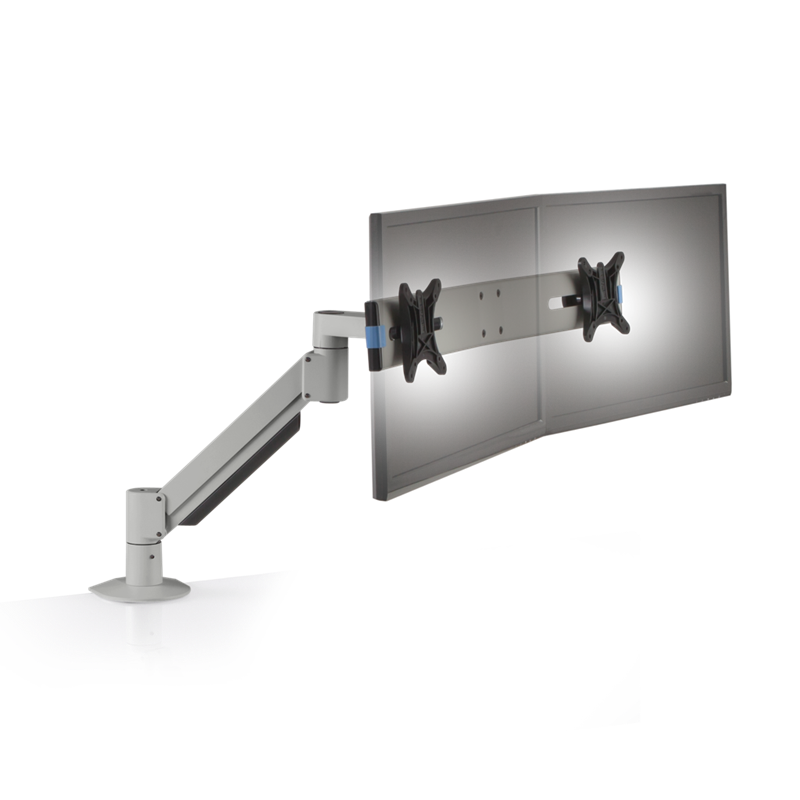 The 7 Flex Dual Monitor holds your screens weightlessly above your desk. Forget about using levers or buttons, this easy-to-use device allows you to adjust your screens with the use of fingerprint positioning. 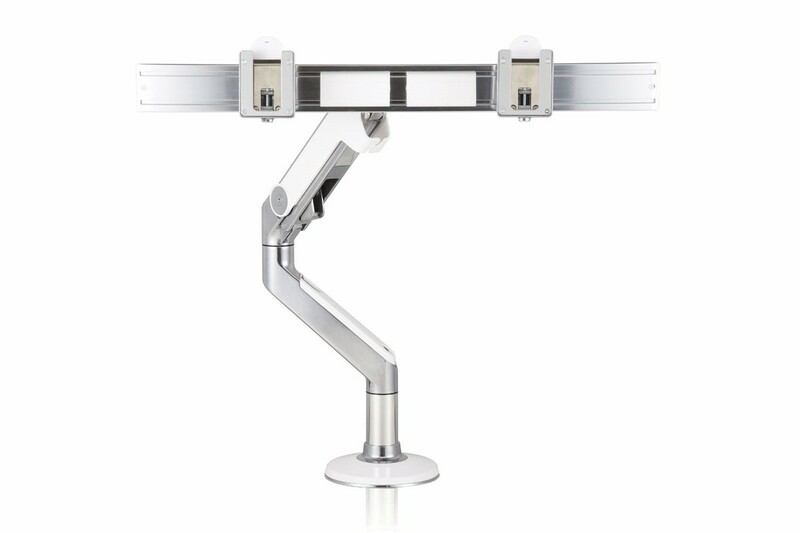 Each 7 Flex arm is designed with durable cast aluminium and provides 360-degree rotation at three joints. Your desk will remain clean and uncluttered with the use of this dual monitor arm thanks to an integrated cable management system - no more tangled cords!